Everybody is welcome (segregated facilities for both men and women). The executive committee has been made aware of an unapproved action by the volunteer maintaining the mosque website. The domain name for the official website (www.cambridgemosque.com) had been copied with one additional feature resulting in the domain www.cambridge-mosque.com being registered and operated outside the control of the CMWS. Following this discovery we have relaunched our original official website and are no longer working with any voluntary bodies for website assistance. 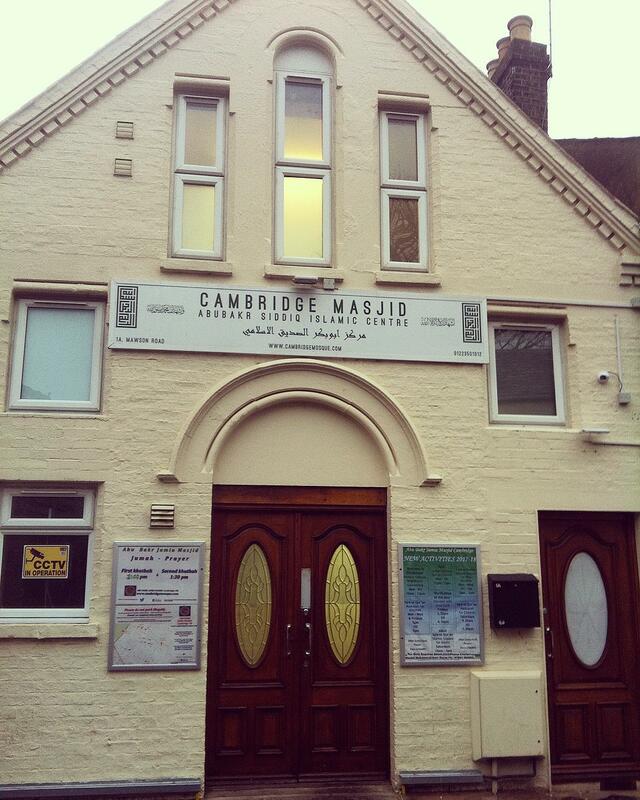 Abu Bakr mosque also known as THE CAMBRIDGE MOSQUE is the oldest mosque in Cambridge since 1981. The mosque has been serving the community since then and will carry on performing its duties in the future. 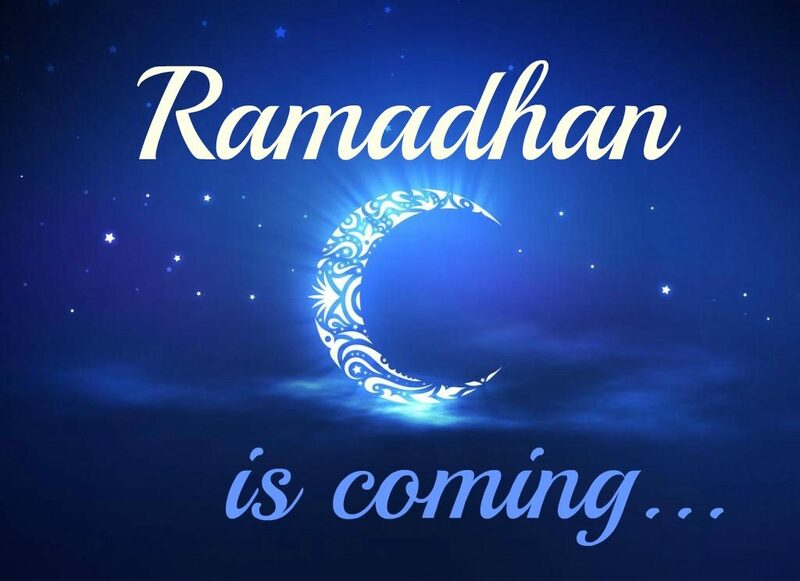 The mosque will still be open as usual (all daily prayers and activities will be the same) even when the new mosque in mill road is operational. The doors of the mosque is not only open for muslims but also for all other communities. Mosque visits are most welcome. Abu bakr mosque welcome all Islamic Scholars to present talk and share islamic knowledge. Please consider our neighbours when coming to the masjid all the time. Please park your vehicle / bike sensibly, safely and securely. Be mindful of the 24 hours no parking as shown by double yellow lines. The masjid is open for 5 daily prayers, madressah, friday prayers and eid prayers. The mosque opens 30mins before fajr prayer, closes 30mins after fajr prayer, reopens at 11am and finally closes 30mins after isha. There is also a separate section for ladies prayer. 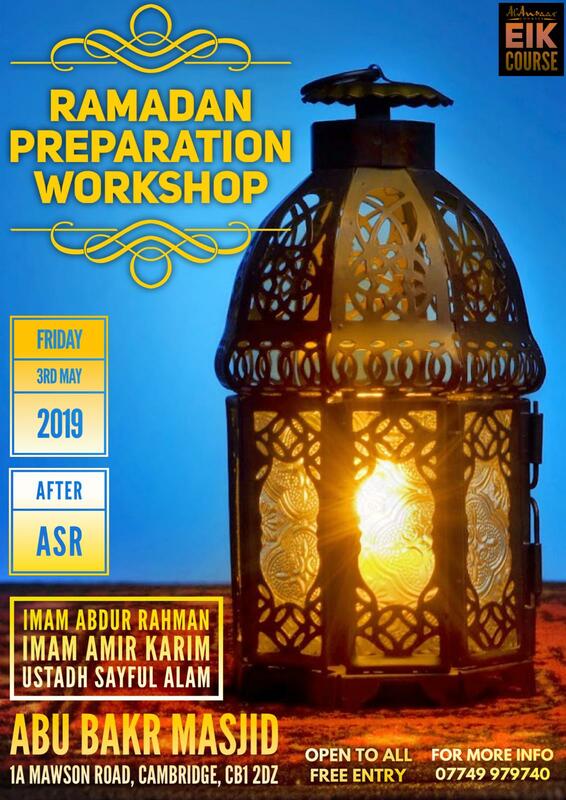 Abu bakr mosque june 2018 newsletter. The mosque is open for visits. Use the Mosque Visit page to book a visit. If you have any questions, comments or suggestions for the centre, please use the Contact Us page.